This is actually a manufacturing leap. Not an at home type project, as my understanding is that laser sintering 3D printing machines are extremely expensive. But technology gets cheaper as it ages (unless it is a medical device under FDA regulation). And the potential of this technology being affordable in 20-30 years is not an impossibility. Metal production offers a lot of advantages over plastic, obviously. And this project appears more so to be used by a 3D laser sintering company to show how good the technology is; demonstrating the ability to produce a barrel that withstands high pressure, and the fine tolerances a 1911 pistol requires. Either way, I find it rather exciting. 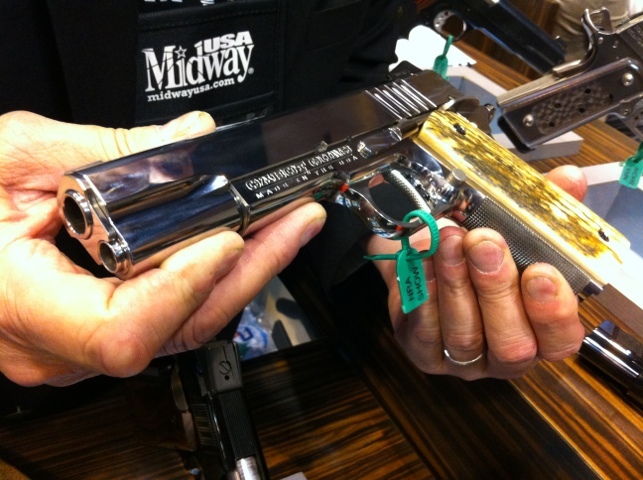 Cabot Guns only builds one gun, modeled after John Moses Browning’s 1911. So what makes different than the many other clones available out there? Rich Wilson of Cabot Guns shared how Cabot uses sophisticated equipment used in aerospace engineering to manufacture their parts with tolerances so exacting; other manufacturers are unable to duplicate. It’s quite clear they are very proud of their product. Every gun they manufacture receives a “birth certificate” booklet including photos of the firearm being made and a detailed report of the specific gun’s manufacturing tolerances. Cabot Guns also makes a “Southpaw” (left handed) model. Mr. Wilson said they didn’t just place the ejector on the left side. They completely reversed the internals. Even the rifling is reversed; so the rotary forces press the gun into the left hand. Cabot also offers a Teflon like coating which can be seen on the photo of the Southpaw model. The top gun pictured is not chromed. That’s the polishing applied to the steel. With an annual manufacturing rate of 400 pistols a year, a Cabot 1911 will run you a bit more than Remington’s $700 1911. The models I saw at Cabot’s booth ran $4,000-$5,000. Sadly a tad outside my budget, but if you we’re considering a high end Kimber for $2K-$3K perhaps it’d be worth your while to look at Cabot’s offerings. I passed by one booth that caused me to be taken aback. 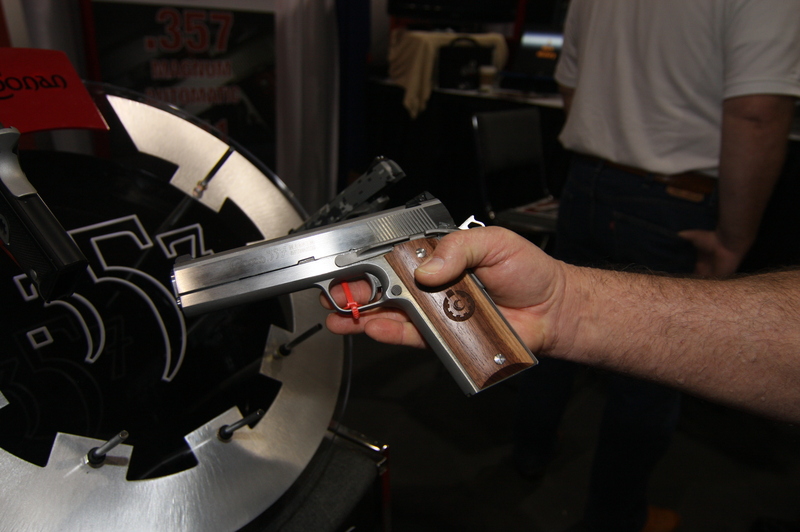 Coonan Firearms and their .357 1911. So my first thought was, this must be a 1911 chambered in .357 Sig or something. Nope…it’s actually .357 Magnum. A 1911 chambered with one of my favorite rounds. 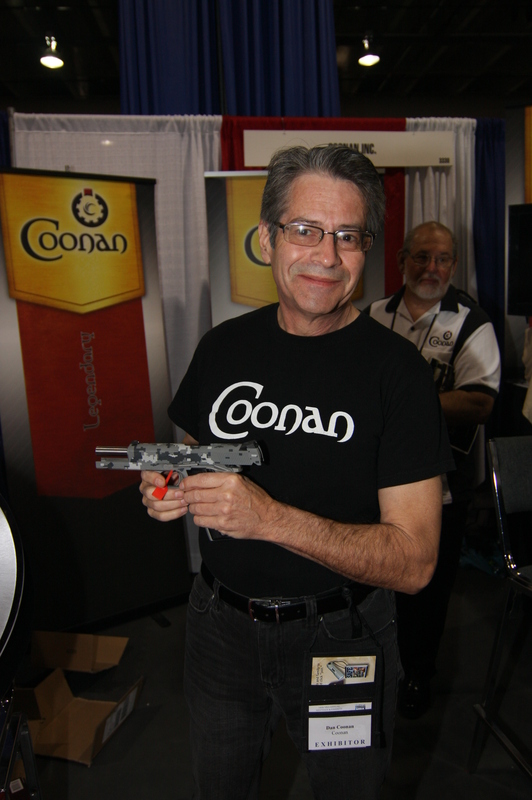 So I got to talking with Mr. Coonan himself about his firearms and a little bit about the history of his company. It’s actually quite the serendipitous story. Basically, two young women attending college become friends. One’s dad goes out shooting with his in-laws, only to be teased that what he really needs to buy is a Coonan .357 1911. Good luck trying to find one, right. Well lo and behold it gets discovered that his daughter’s friend is a Coonan. Yes, that Coonan. He gets in contact, and the ball gets started rolling. 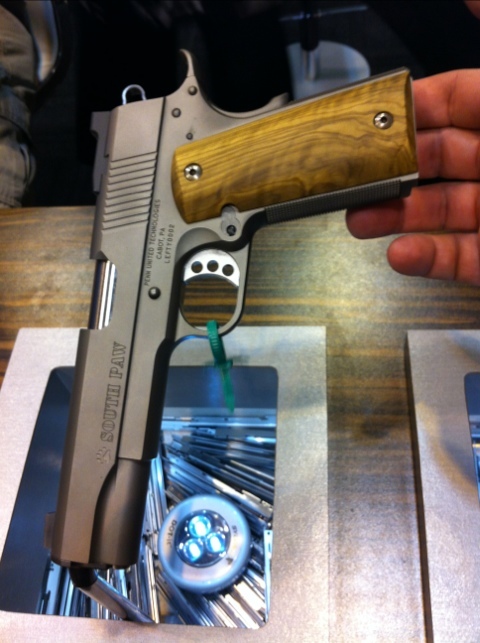 The result…new Coonan 1911’s. This firearm will probably be on my “list of guns I’ll buy if I win the lotto.” But I think if I could pick any firearm for a BBQ gun. It’d be one of these Coonan 1911’s chambered in the good ol’ .357 magnum. I would have really loved to see this released along with an SR2011 in polymer frame. Or even an announcement of a 9mm version that actually worked reliably. Ruger has another announcement splash page. No word yet, so I guess we await later this morning. I think I’m putting my money on a Ruger 2011. Perhaps a polymer framed 1911 even. Next bet would be an SR-45 but that does not seem to me revolutionary or “must buy”. Now where Ruger could really take the cake is releasing the Ruger SR-2011 polymer 1911 platform. And releasing it in 9mm, 40S&W in addition to 45ACP. Many will point to a gap in the .45ACP line for Ruger. I have a P-345, but many are looking for a striker fired DAO (double-action only) polymer gun. But I’d wager if Ruger dropped the P-345 for a polymer based 1911 few would be disappointed. I do want to state that I very much like my P-345. I think it has one of the most comfortable grips. Guess we’ll find out in a dew hours. I received the following email from Sig Sauer. If you’ve been considering one of the listed firearms. Than now is the time to buy. Best of all, this “stimulus package” does not use tax payer dollars, and furthers the 2nd Amendment by upgrading the weaponry of U.S. citizens. Purchase a new SIG SAUER® P220®, P226®, P229®, 1911, SIG556 pistol, or SIG556 rifle from your dealer’s inventory from September 7th through November 30th, 2009, and SIG SAUER will give you $200.00 for your old KLUNKER* pistol or revolver. *KLUNKER refers to a handgun from any manufacturer that you wish to trade in for the $200.00 payment. Gun must be operational and free from cracks in frame or other key components. KLUNKER must be a semi-auto pistol 9mm or larger, or revolver of .38 caliber or larger. SIG SAUER reserves the right to reject any firearm submitted as a KLUNKER that does not meet our criteria. Rejected firearms will be returned to sender. Please allow six (6) to eight (8) weeks for delivery of your check. This offer cannot be combined with any other program or offer. Klunkers will not be accepted for payment after Friday, December 4, 2009. NO EXCEPTIONS. 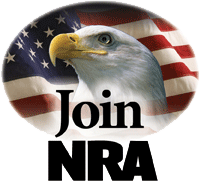 All transactions subject to federal, state and local firearms regulations.